While upgrading national systems with an eye at a unified continental system, African railways won’t be left behind in the next technological leap toward self-driving transportation. IOA analysis in brief | Trains will drive themselves across Africa’s terrain in the near future, with the technology available today to make autonomous engines that are safer, more efficient, reliable and environmentally friendly than the human-driven type. If Africa’s rail systems do not adapt to the new technology, they will become extinct in a new age of self-driving long haul truck transportation. As soon as 2030, railroad engines will be driven by remote control across Africa’s wide spaces, transporting passengers and freight. Like the startling sight of steering wheels absent from autonomous cars, train engines of the future will lack human engineers. On a continent where colonial-built rail lines dating back more than a century in some places still accommodate steam locomotives, the need to upgrade systems comes just as autonomous train technology becomes available for a new generation of railroading. Africa’s rail systems do not operate in isolation from world trends. After decisions are made by individual countries’ rail lines to embrace and invest in the new technology, trains will be operated by automated systems communicating via GPS with track sensors and distant depots for greater efficiency and safety. Without adaptation, Africa’s rail lines will become obsolete, put out of business by autonomous trucks on the ground and dirigible-size floating warehouses and an air fleet of delivery drones in the skies. Rail travel is the primary long-distance transportation for most Africans, who find flying too expensive. Rail freight drives African economies and is as essential as road freight. Most African countries have rail lines, usually run by government-owned companies and answerable to Ministers of Transportation rather than stockholders. Consequently, rail infrastructure joins the queue of other needs competing for government money. However, since the 1990s many lines have been turned over to private management. Meanwhile, Africa’s port system is expanding yearly, with upgrades prioritising essential rail connections. Railway projects took off in earnest in 2012, according to the African Union of Railways (AUR), an African Union (AU) project that oversees the continent’s rail systems. About US$ 30 billion is being spent by national rail lines on rail line rehabilitation and expansion throughout Africa, with 11,000 km of new line being added. The systems are being integrated regionally into a unified system that will allow a train to travel on tracks that conform in size without having to change engines and or transfer goods and passengers onto other wagons at borders. A single gauge system for all of Africa is not possible because of cost, so a region by region approach is being fostered by the AU. Eventually, inevitably, these systems will be integrated. Meanwhile, autonomous trains are poised to become a reality, speeding trips and making them safer. Road and rail compete for freight in Africa. Road is more versatile, going where train lines do not. Door to door pickup and delivery is performed by trucks, not trains. Autonomous delivery vehicles are already in service in parts of the developed world. 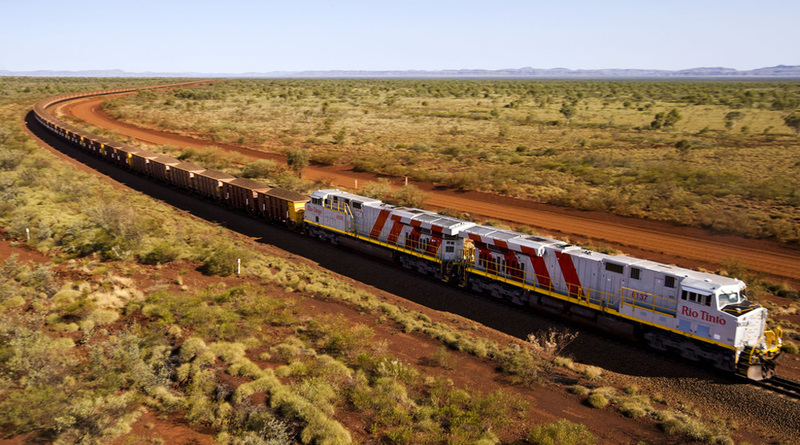 Rail’s big advantage is that trains drawing hundreds of wagons tend to roll across national borders, whereas trucks are delayed for days at a time awaiting customs clearance at border posts. Trains are the most efficient and cheapest way to transport bulk items like mineral ore, sugar and grains, while containers accommodate all forms of goods, refrigerated for perishables. Once rolling, trains go for days without stopping, whereas trucks on average must stop every 400 km to allow drivers to rest. Autonomous trucks have no drivers and can go 1,000 km without stopping. This advance is a game changer that cuts into one of rail’s advantages and is one of the motivators Africa’s rail companies have for investigating use of autonomous technology for themselves. Railway workers’ unions will resist the new technology, as did Germany’s labour unions when Deutsche Bahn (German Railways) announced that fully autonomous trains will operate on parts of the railway network by 2021-23. However, massive worker retrenchments will result if rail systems fail to compete with swiftly advancing autonomous road freight delivery systems. Further, autonomous train lines already in existence, like commuter European subway and metro lines, retain human operators in case of equipment malfunction or emergencies. in several African countries, operates its own private 1,700 km rail line to transport iron ore from 15 mines to sea ports. At a cost of US$ 500 million, locomotives are being equipped with radar, the tracks equipped with sensors and a GPS system has been successfully tested. This AutoHaul programme will be fully operational in 2018. It is not surprising that a private business would spearhead autonomous train usage rather than a government rail system burdened by political oversight and hidebound bureaucracies. Rio Tinto’s experiment in Australia may one day be replicated in its operations in Madagascar, Mozambique and elsewhere in Africa. The argument made against autonomous trains, that it takes an engineer’s sight to see obstacles on the tracks and halt a slow to stop giant train, is heard often but is hard to understand. Radar, telephoto video cameras connected to the engine’s computer that is run by algorithms allowing artificial intelligence are some of the ‘line of sight’ tools equipping an autonomous train. Using this data, the train’s computer reacts with an instantaneousness that no engineer can rival. No engineer can visually detect structure infirmities of bridges or tracks and then send out alarms as do sensors attached to the infrastructure would. When two trains collided head on in Swaziland in 2016, killing one engineer, human error was found by a Swazi parliamentary inquiry – an error track sensors detecting track usage would have avoided. Investment in autonomous trains will be repaid by revenues from greater freight and passenger usage, and by the lowering and possibly eliminating accidents that now take lives, result in massive property damage and make insurance costs a burdensome operating expense. Self-driving trains also save money by using less fuel. The autonomous system knows when to increase speed to optimal levels and other tricks to conserve fuel. Africa’s rail systems are at crossroads that all industries face periodically to adapt or perish. The world is fascinated with autonomous vehicles that are already test driving on real streets in actual traffic conditions in the US and Europe. When perfected for road freight, autonomous trucks can put railroads out of business if rail does not adapt the same technology. First in Australia and then in Asia, Europe and the US, self-driving train technology will proliferate and costs will decline, helping African rail lines to adapt. 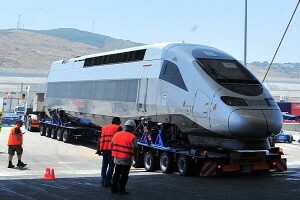 A new era in African rail usage will bring safer, cheaper and more reliable travel for what has always been in the popular imagination the most romantic means of land transportation.